Before we get started, here's a photo hint about the data we'll be looking at. 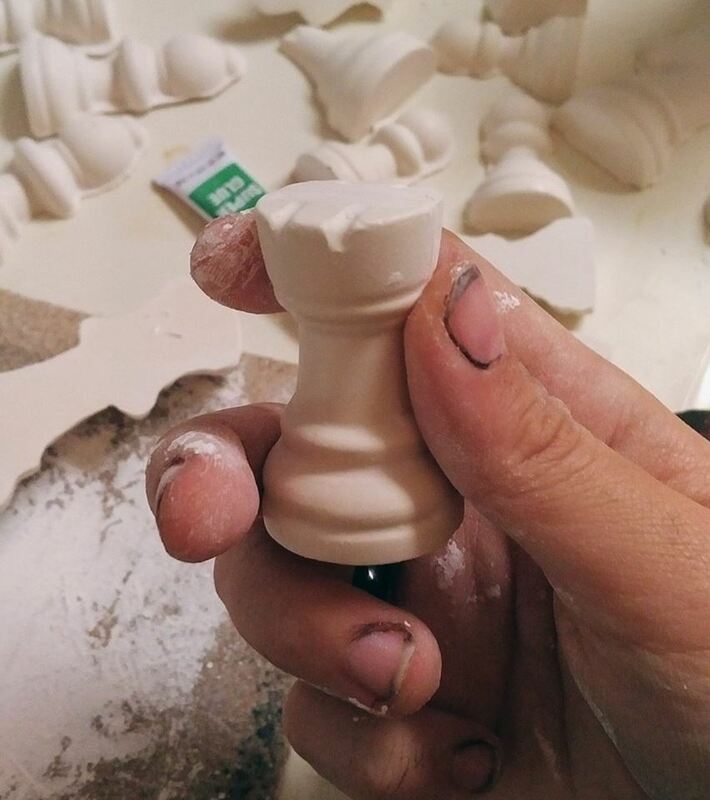 My friend Annie is making her own chess set - pretty cool, eh?!? And you guessed it - we'll be graphing chess data to demonstrate the X-ray technique. 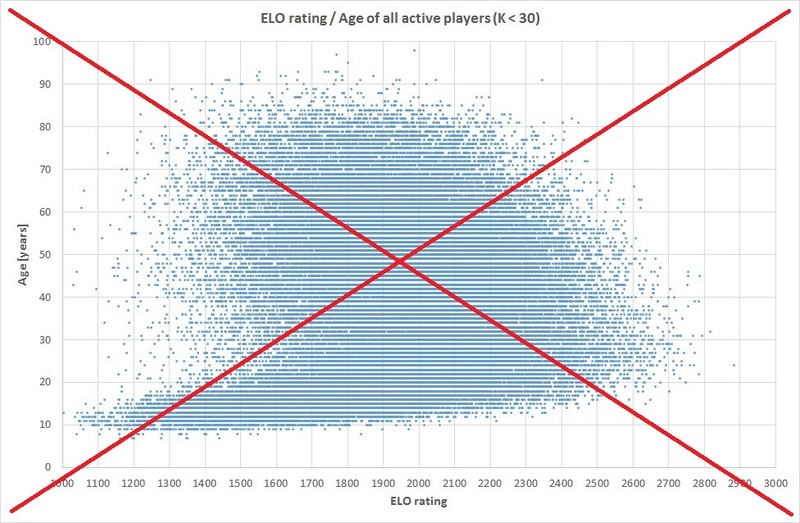 The layout is much more intuitive now, and I can see that as age increases from 10 to 30 the ELO scores quickly increase, and then generally start a slow decline. But I still suspected there was more information lurking in this blob of dots. So I decided to try ... my X-ray glasses! And unlike the X-ray glasses of my childhood, these actually worked! Compare the graph below to the graph above - see all the extra detail? 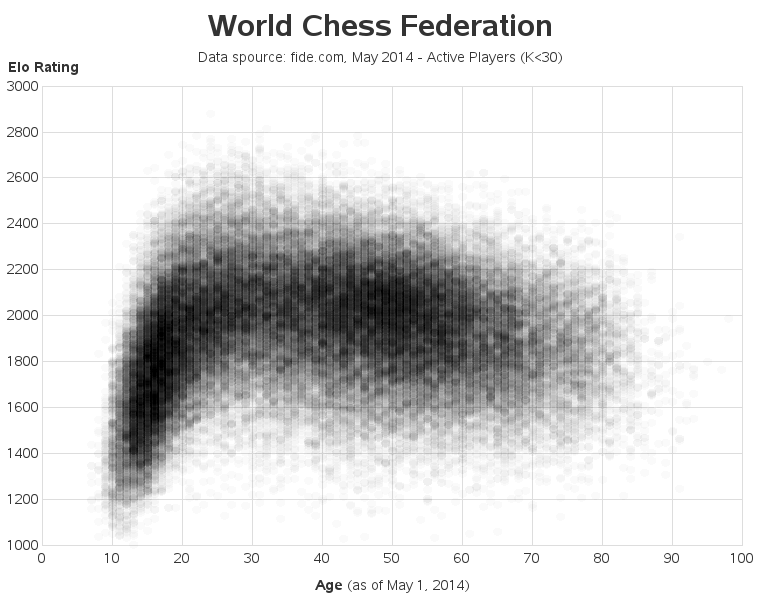 Do you see any patterns or trends in the X-ray chess graph? What could be the underlying reasons for those trends? 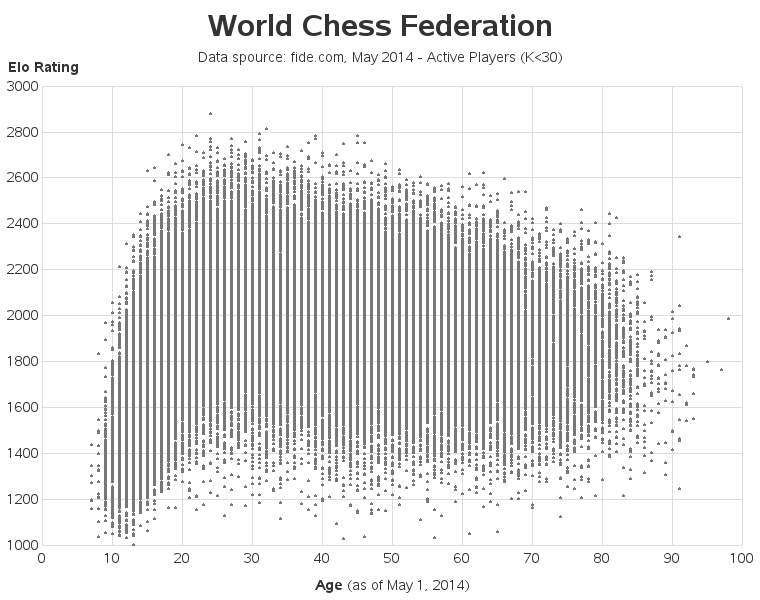 And if you're a chess player with an ELO rating, where do you fall in this graph? Thanks for writing about plotting with semi-transparent markers to avoid overplotting markers. It's a great technique that is often used when you are plotting tens of thousands of individual points. For an example of using transparency with PROC SGPLOT, see the article "How to use transparency to overcome overplotting." The article also shows how to use PROC KDE in SAS/STAT to display the density of the points as a contour plot. Lastly, you can bin the data into small 2-D regions and use a heat map to show the count of players for each age-ELO combination. Interesting. Always wondered how to do transparency in SAS/Graph.